Take this month to make sure your house and yard are ready for winter. November is often a busy month, bringing with it a change of weather and a change of focus. Be sure your fall exterior maintenance is complete and that your home is weather-tight—you’ll be grateful to have taken these steps now when lower energy costs kick in during the winter. And if you were among the millions affected by Hurricane Sandy, be sure to promptly deal with any flooded areas of your home. Dampness promotes moisture-related issues from mold and mildew to rot and decay, so do everything you can to dry out wet basements now. Here are my 5 “Must Do” Projects for November. Whether you live in a hot or cold climate, the most important area in your home to insulate is your attic floor. This fully insulated “buffer zone” will not only help keep heat where you want it, but will also keep the lid on your energy costs. The basic principle of good insulation is that you want to keep heat energy from doing what it does best—escaping. The goal is to trap a layer of unmoving air next to the heat source, which in this case is your heated home. In new framing, sprayed-on polyurethane foam, fiberglass, or cellulose insulation products—even recycled denim—all do a good job of trapping air in the wall cavity. If you’re retrofitting, you can have insulation blown in or lay batts yourself between floor joists to achieve the recommended R-values for your area. The R-value of insulation is the measure of its resistance to heat flow. The higher the value the more effective it is. To see the recommended insulation R-values and cost estimates in your zip code, visit the Department of Energy. And be sure to eliminate drafts. Even a small draft can make your insulation less effective. Seal gaps around electrical outlets, ducts, windows and doors with foam sealants, caulking, or weatherstripping. Autumn leaves are a gift to your garden that literally fall out of the trees, but leaving them untouched may smother the grass and lead to a variety of insect and disease problems. Instead, put them through a leaf shredder (or just run over them a few times with the mower), rake them up, and use them as fall mulch on flower or vegetable beds with a little fertilizer. Add compost and the leaves become soil by spring. Sure, the majority of birds head south for the winter, but that doesn’t mean it’s time to stop buying birdseed. According to the Audubon Society, more than a hundred bird species supplement their natural diets with food offered at feeders, and when food is scarce in winter, human assistance is especially important. 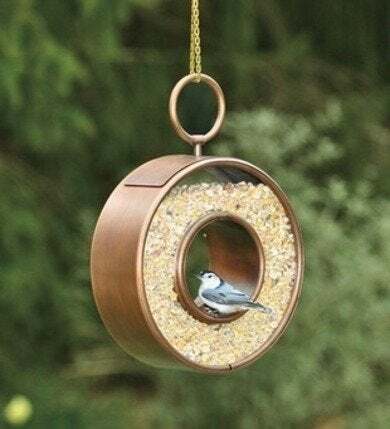 Feeders also provide pit stops for birds on the way to warmer climates, or returning home when spring finally arrives. Providing for your feathered friends means offering fresh water, shelter, and the right mix of quality seed. See our how-to for more details. With colder temperatures on the horizon, getting your car into the garage is not only desirable but necessary. So while the weather remains mild, take a weekend to restore some order. Begin by clearing the clutter and taking stock of everything you want to keep. Next, figure out a plan that puts frequently used items close-at-hand and seasonal items (e.g., holiday decorations) in places that may be harder to reach. Finally, put your plan into action with smart organizational products that require minimal effort to use, like these 10 “Neat” Garage Storage Solutions. And remember to think vertically: taking advantage of both wall- and ceiling-mounted options makes good storage sense. If you’ve still got an old mercury or mechanical contact thermostat, it’s easy to forget to adjust it when you leave the house or go to bed. Electronic programmable thermostats allow you to set target temperatures for each day of the week and each period of the day, depending on your schedule. According to the Department of Energy, you can save 5% to 15% a year on your heating bill by turning your thermostat back 10° to 15° for 8 hours (a savings of as much as 1% for each degree, provided the setback period is eight hours long). And if you are a confident DIYer, you may be able to install the device yourself.